An organisation’s culture is like gravity. You can’t see it or touch it, but it exerts a constant pull that holds things in place. Like gravity, culture is made tangible by its effects; it can be seen in the behaviours and practices of an organisation’s management and employees. An unseen culture is restrictive, disruptive and can undermine morale, productivity and profits. The need for culture change is becoming more and more frequent. In order for organisations to face the challenges and opportunities the future will bring, addressing the question of culture change is widely accepted by business leaders as essential. However, what is meant by culture change can cause confusion. Most leaders attempt to bring about cultural change through top-down initiatives that are aimed at influencing behaviours and practices. These programs often fail because they address the effects of culture, leaving its causes unseen and unchanged. Executive Coaching works with its clients to create initiatives in which people can successfully step outside their familiar frameworks to identify and address the embedded attitudes, assumptions and ways of thinking that drive behaviour and hold the culture’s limitations in place. In doing so, participants gain the freedom to act in new ways, and to forge a new culture based on common commitment. 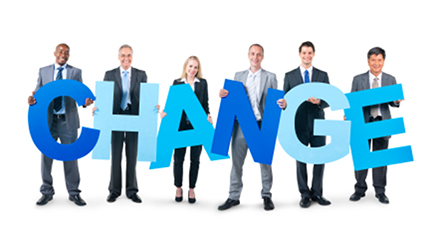 Among the principal benefits of culture change are improved morale and productivity.